Afterschool Professionals Appreciation Week is a joint effort of community partners, afterschool programs, youth and child care workers and individuals who have committed to declaring the last full week of April each year as a time to recognize and appreciate those who work with youth during out-of-school hours. 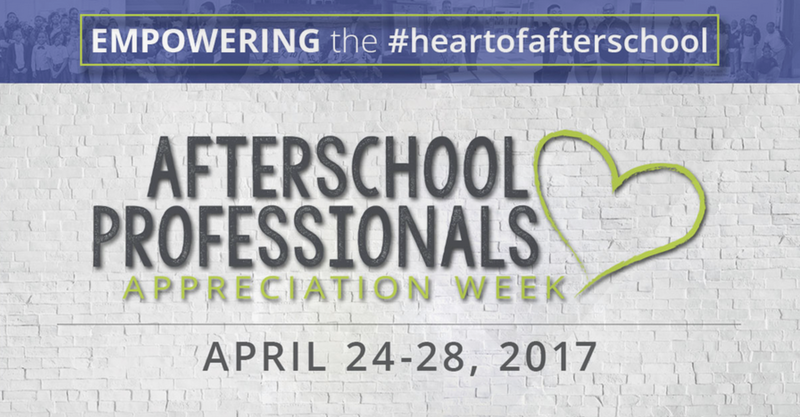 Join us for celebrations and display your appreciation to thank afterschool professionals who make a difference in the lives of young people. Below are a number of resources that can help you celebrate this week. Click on the images below. 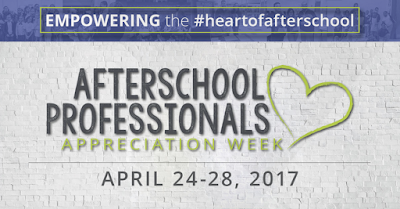 A good way to appreciate afterschool is to SAVE afterschool. Click on the images below to learn more. You can learn more about why afterschool works from Mott Foundation CEO and Chairman, Bill White. You can click on the quote and view the video below.